We help you clarify what you want to achieve through your investment in coaching, leadership development and change programs to establish an ongoing process by which outcomes are measured. Collection of self-assessment and feedback data increases awareness and offers valuable insights for individuals and teams: it enables personal and group development. Our research has revealed two challenges. Firstly, as some of the insights may be critical and many people and groups don’t like to be criticised, the data is often not fully utilised. Secondly, the data collected may not align with the original organisational purpose. The debriefing of those tools so that the data is fully utilised. In helping you design your program, we ask about your purpose and the outcomes you are hoping to achieve. We recommend tools that fit your specific purpose and share insights on how to best engage key stakeholders, including participants, line managers and raters to get lasting impact. Do I understand what the report is telling me? How do I make sense, personally, of this information? And if relevant, how will the group make sense of it? What actions will I/we take as a consequence of having received this information? Our coaches are collectively accredited to work with various tools, including 360 feedback tools such as LSI, GSI and L/I from Human Synergistics. We charge for tools at the supplier’s recommended retail price. For people seeking deeper, more qualitative insights, we recommend 360-by-interview. This is a process by which the individual’s coach talks in confidence to 5-8 of their colleagues, probing for insights and reporting back themes which form valuable input to the coaching assignment. Data for succession and workforce planning. Assessment and feedback tools are best used at the organisational level to collect data that is required for specific strategies such as identifying talent for succession and workforce planning. As a before and after measure for assessing the effectiveness of coaching and other development activities. At the team level, 360 feedback programs are used at the start of team development programs and may be used again to capture progress. Developed 40 years ago, the Human Synergistics Circumplex provides a way to see, measure and change the thinking and behavioural styles that drive the performance of not only individuals but also groups and organisations. 3 general clusters break down the factors underlying effectiveness into 12 specific styles. They are arranged in a circular manner based on their relationship to needs (satisfaction vs. security), orientation (task vs. people) and themselves. Human Synergistics research shows that organisational (motivation, satisfaction), group (collaboration) & individual (task/interpersonal effectiveness) outcomes are increased when the primary cluster is constructive. The Life Styles Inventory™ (LSI), Developed by Human Synergistics, promotes personal development through greater self-awareness by profiling an individual’s thinking & behavioral styles. The LSI is designed to promote transformational change, helping individuals understand what is currently supporting and hindering their personal effectiveness. With researched links to personal satisfaction, stress, effectiveness and quality of interpersonal relationships, the LSI can truly help people change their lives. The Group Styles Inventory™ (GSI) is designed to facilitate team building and improve group processes through identifying group styles. Certain styles are productive, leading to high quality decisions where members are strongly committed. Other styles are counterproductive, leading to solutions of poor quality with limited group acceptance. The GSI measures the group’s behaviour, and impact, then identifies behaviours for the group to build or strengthen in order to better achieve synergy. 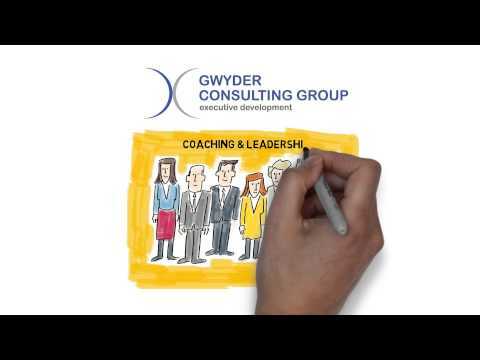 To find out more about Gwyder’s Performance Assessment services, call 0419 475 089 to speak to Kerry Little, Principal Executive Coach. Kerry is fully accredited in the psychometric tools we recommend and use, you can find out more about Kerry’s background here.